What Are The Skills Required To Become A Full-Stack Developer? So, you want to know the full stack developer skills. On the other hand, businesses too love to hire full stack developers. Moreover, you know, that any trade has its own skills. Therefore, you cannot master the trade unless you master the skills. 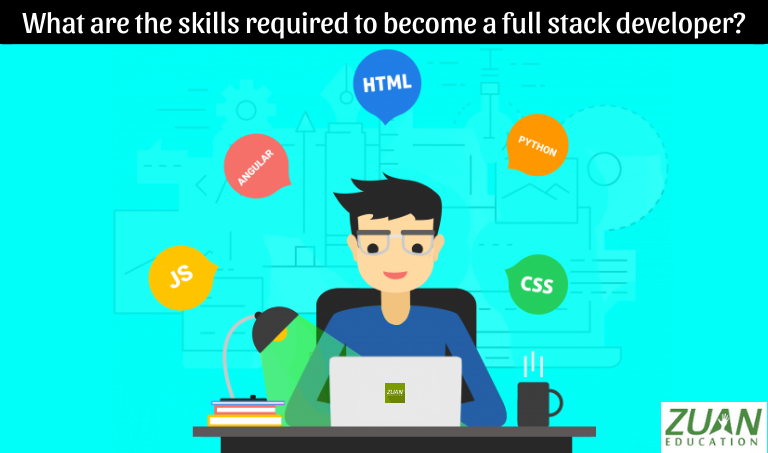 Likewise, what skills should you have or develop to become a Full Stack Developer? First, let’s get clear on who is a Full Stack Developer? As a full stack web developer, you become a programmer skilled in coding both the frontend (front end developer) and the backend parts of a web application. The frontend: The part of the web application that the user sees and uses. Therefore, you have to gird yourself with the following skills to successfully achieve developers work. Asynchronous control flow, promises, and callbacks. Learn how to properly structure your code and modularize parts of it. While building web applications, you’ll probably want to store data somewhere and then access it later. Therefore, it is good for you to understand the following topics related to databases and storage that are vital in gaining full stack developer skills. Know to connect a database with your chosen back-end language (e.g. Node.js + MongoDB). Scaling databases, ACID, and ORM. REST and its importance in regards to the HTTP protocol and web applications. Best practices for designing a RESTful API. Further, you can cull out details on the above-mentioned essentials from various online sources by a search from your search engine and web browsers. Git is a version control system that allows you, working on a team to keep track of all the changes being made to a codebase. Change other people’s code without breaking things. Benefits of trees and graphs as data structures. Know when to use an object vs an array and understand the trade-offs. Importance of caching when working with a large amount of data. And also learn the pros and cons of in-memory vs disk storage. Know the difference between queues and stacks. Newly learning or updating in these skills will make you an achieving Full Stack Developer. Why miss this opportunity to become a Full Stack Developer? Rather, learn Full Stack Development in Chennai from a reputed web designing institute. This is talking more about Skills required to become full stack developer. Thanks for the more informative content.